"Liga de Futbol Profesional 2016-2017 - LIVE!" 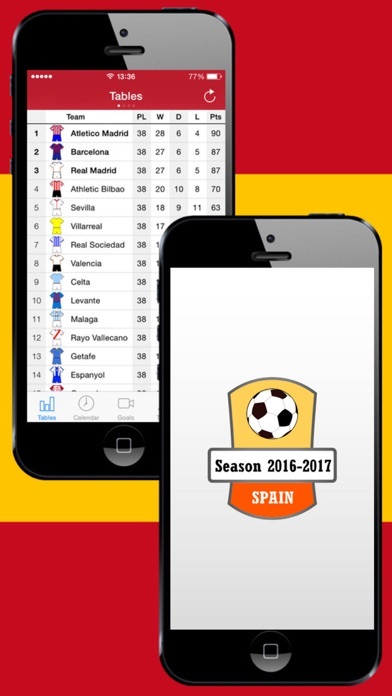 - is an application about English Football Liga de Futbol Profesional 2016-2017. With the "Liga de Futbol Profesional 2016-2017 - LIVE!" 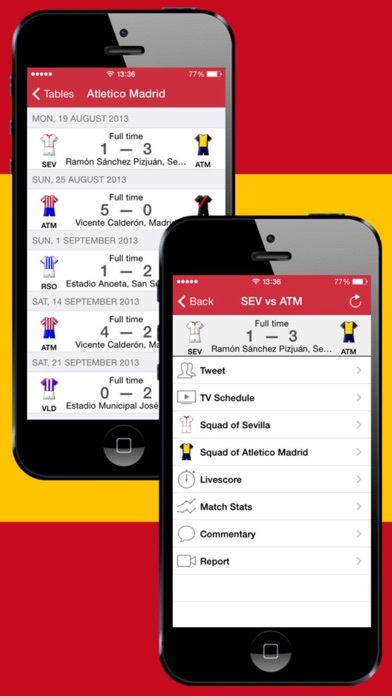 application you have a possibility to watch all events in the Liga de Futbol Profesional in real time. Using "Liga de Futbol Profesional 2016-2017 - LIVE!" you also get immediate access to the Tournament table, Schedule, Teams, Events in Matches, News and Statistics. The LiveScore mode (minute-by- minute broadcasting) together with Push notifications will prevent you from missing important events of a match (Kick off, Goals, Fouls, Substitutions). The "Liga de Futbol Profesional 2016-2017 - LIVE!" 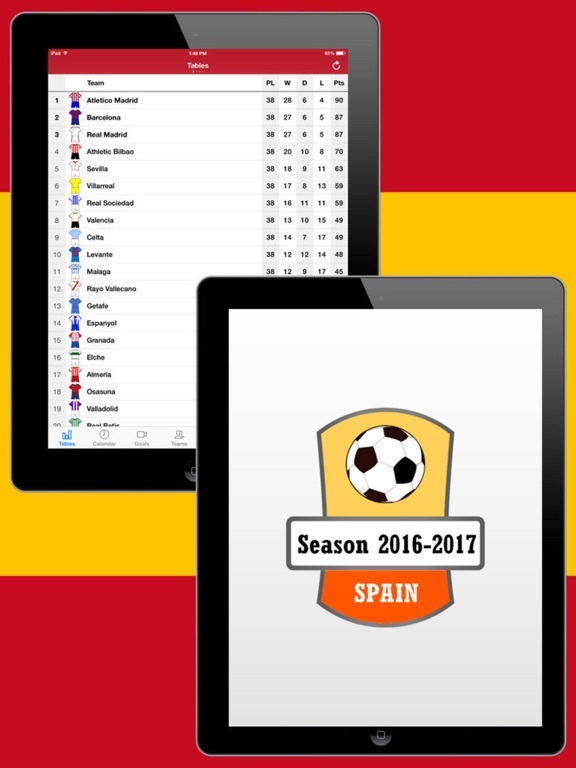 application makes possible to create videos of the season 2016-2017 in your device which may include more than 800 Video Reviews and 1500 Video Goals and Events. All Videos information is placed on Tours, Matches and Players that allows to find quickly all interesting Video information, view and save favourite moments in your device. With the application you can create Video for both a player and a favourite team. With the application you will have access to text translations, News in Twitter and football fans’ forums. Also you can find full information about football clubs - current list of players with their personal information and Photo, historical information, form and symbolics, texts and music of anthems, stadium location on the map and a lot more. 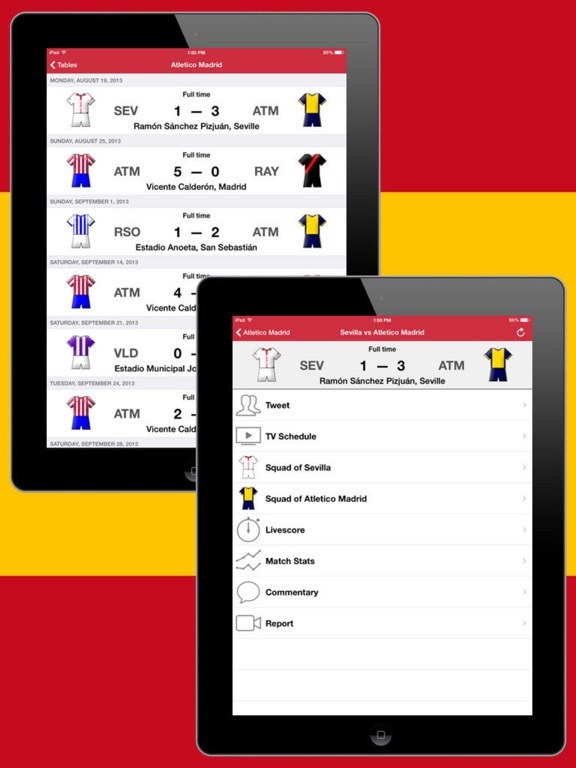 All information in the application is supported in several languages and you also can tune the application according to your preferences and watch one or several teams. To save Video to the Gallery click "View" and "Save".